Tecno Y6 DRAM error. Panel hot and not power solution. Tecno Y6 dead after flashing with SP Tool or Miracle Box solution. SP Tool DRAM failed 4032 error with Tecno Y6 solution. TecnoY6 BootData ERR(2) 0_0 with Miracle Box solution. Tecno Y6 does power after falling. Do you have Nokia X2-01 that e, d, c,p keypads are not working? Did your Phone dropping in liquid is a common thing and what follows next? Below is the easiest way to fix the keypad problem especially Nokia X2-01. Take apart the phone or disassemble your Nokia X2-01. If the Nokia X2-01 keypads are not is time to grab your soldering iron, paste and lead. Make jumper according to lines, but you can connect from one keypad only to the mark at ic top. Nokia X2-01 some keypads not working. How to fix iPhone 6 wifi and bluetooth problem. How to fix iPhone 6 Touch problem. How to fix iPhone 6 no network problem. How to fix iPhone 6 Hangs on Logo problem. How to fix iPhone 6 speaker or audio problem. How to fix iPhone 6 short circuit problem. Hope you know important of WIFI on smart phone. How to fix iPhone 7 wifi and bluetooth problem. How to fix iPhone 7 audio or sound problem. 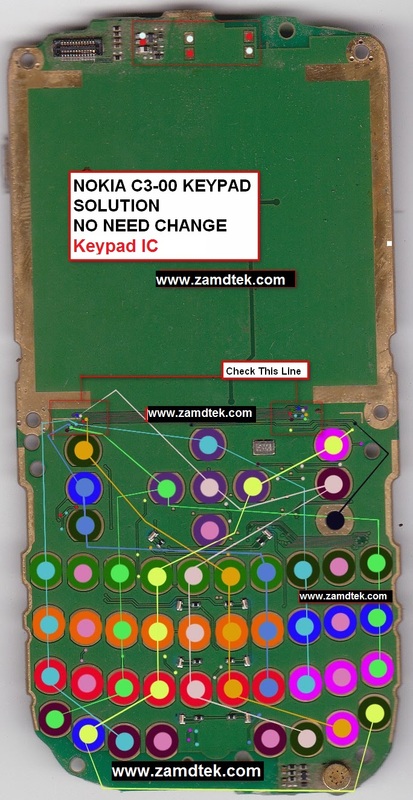 How to fix iPhone 6 fake charging or can't retain voltage. How to fix iPhone 6 fake charging problem. How to fix iPhone 6 Camera not working. How to fix iPhone 6 Camera problem. How to fix iPhone 5SE or iPhone SE wifi problem. How to fix iPhone 5SE or iPhone SE Touch screen or Touch pad problem. How to fix iPhone 5SE or iPhone SE network problem. How to fix iPhone 5SE or iPhone SE audio problem.